At the age of 15, our young #WomanOfInterest set out to build a career in acting and she hasn’t disappointed. 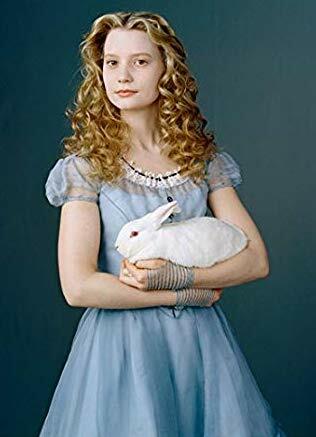 Mia Wasikowska went from a ballet tot to a Holllywood Star in a matter of a few years and isn’t stopping anytime soon. By Age 9, Mia started her studies in the art of ballet. She trained with Jackie Hallahan at the Canberra Dance Development Centre. Ballet wasn’t just a hobby for Mia as she intended to become a professional dancer. By age 13, she was already dancing en pointe and trained for 35 hours a week on top of her normal schooling. While Mia loves dancing and credits it with her ability to handle her nerves in auditions, she ultimately ended her dancing career due to a spur on her heel. She also did not appreciate the pressure to look a certain way and she quit at age 14. Mia turned to other mediums of performance and decided to explore acting. She felt performing on screen allowed her to explore human imperfections. She contacted twelve Australian talent agencies after looking them up on the internet. Ultimately, only one responded to her inquiry, but she persisted and arranged a meeting with them. Mia was a natural on screen. Within a year of her quitting dance, she landed her professional debut. She appeared on the Australian medical TV drama called All Saints in 2004 for 2 episodes. By 15, she landed her first role on film in Suburban Mayhem. Her first film performance landed Mia her first award nomination for a Young Actor’s AFI Award. She continued to appear in multiple films including September, Rogue, and I Love Sarah Jane in 2007 and 2008. When Mia was 17, she auditioned for an HBO role by videotape and landed it! 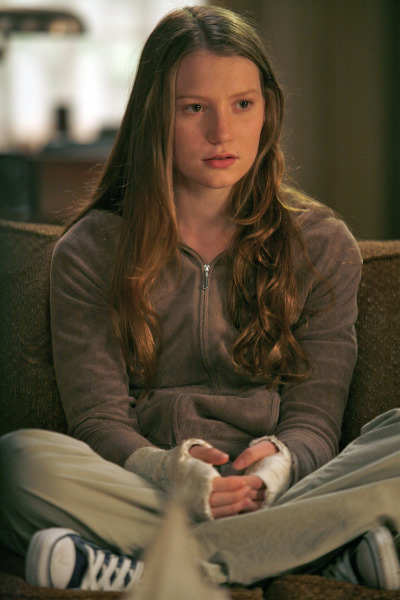 She appeared as Sophie, a suicidal gymnast, on In Treatment. She took a three-month hiatus from high school and moved to Los Angeles for three months to shoot the part. Her perfect American accent and her serious performance quickly made a name for herself in Hollywood. She started appearing in more American films due to her role. Mia appeared in films like Defiance and Amelia. She also received a nomination for a Best Supporting Female for the 2009 Independent Spirit Award due to her breathtaking performance in Scott Teems’ That Evening Sun. In July 2008, Mia landed the role of a lifetime as Alice in Disney and Tim Burton’s Alice In Wonderland. Tim Burton said her “old-soul quality” was paramount in her landing the role “because you’re witnessing this whole thing through her eyes, it needed somebody who can subtly portray that.” Mia rocked the performance and was thrust into international acclaim. She won the Hollywood Awards’ Breakthrough Actress Award and the Australian Film Institute International Award For Best Actress due to her stunning performance. She even ranked as the second-highest grossing actor of 2010, according to Forbes, landing her a name as one of Forbes Stars To Watch. After her Disney role, Mia continued seek out roles that inspired her. In 2010, she played Jane Eyre in Cary Fukunaga’s adaptation of the famous novel. She won the role after she read the novel and loved it so much, asked her agent if a script existed. When the director was uncertain of casting Mia, she reached out to another director, Gus Van Sant, who had worked with Mia. Gus Van Sant responded simply with, “Cast Her.” Mia was known in the community to be a studious artist who brought new light to any role. In 2011, Mia was named on the Time 100 list of the world’s most influential people. Also in 2011, she joined the Academy Of Motion Picture Arts And Scientists. She made her name and definitely wasn’t going anywhere. Mia continued to film numerous roles. In 2011, she appeared in Lawless across Shia LaBeouf, as well as in Stoker, a Park Chan-wook film. Mia has appeared in so many films, it’s hard to list them all. Amongst these are The Double, Only Lovers Left Alive, Tracks, The Turning, Maps To The Stars, Madame Bovary, Crimson Peak, and so much more. Mia even reprised her role as Alice in Alice Through The Looking Glass. In her short 15 years as an actress, she has appeared in 36 films. While Mia works hard at acting, she also practices her parents’ love, photography. She loves to take photos of her travels as well as some candids of her film shoots. 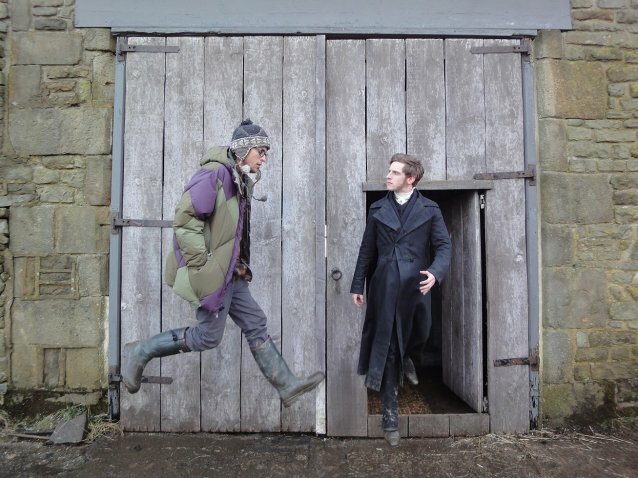 One of her photos she took on the Jane Eyre set even landed on the finalists list for the 2011 National Photographic Portrait Prize. Her beautiful quietness and intelligent mind has impacted Hollywood and will be here for years to come.